I’ll admit that I’m still drinking plenty of DAVIDsTEA Pumpkin Chai, but now that it’s December I figured I’d share a more seasonal–and very delicious–option, the DAVIDsTEA Gingerbread Cookie*. 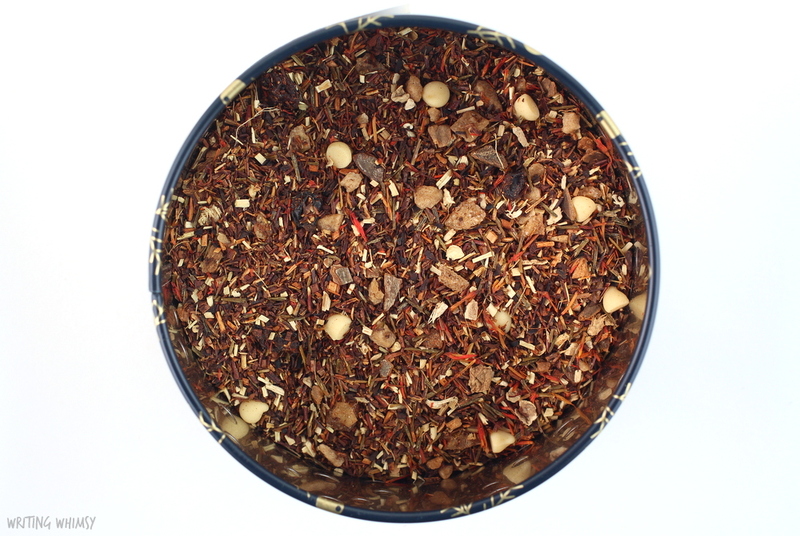 This is a limited edition, rooibos and mate tea, that is very true to its namesake. 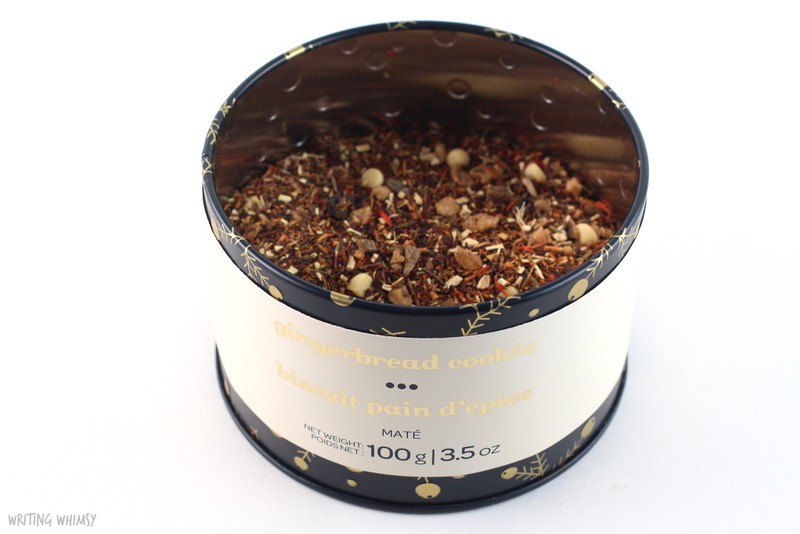 As soon as I smelled DAVIDsTEA Gingerbread Cookie I immediately got warm, gingerbread cookie. I think it is listed as a mate as a warning that it is caffeinated, but it is definitely stronger on the rooibos than the mate, although luckily it doesn’t have that overwhelming honeybush flavour a lot of rooibos teas can have. 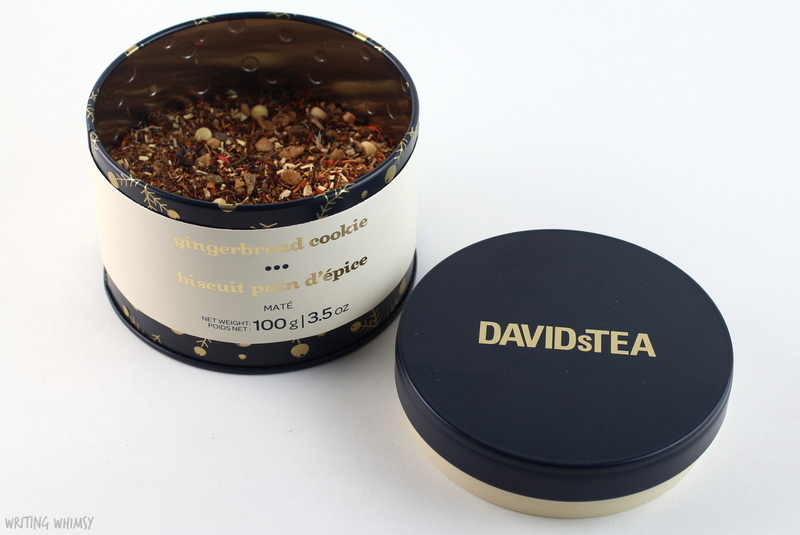 When brewed, DAVIDsTEA Gingerbread Cookie is sweet with a light taste of ginger. 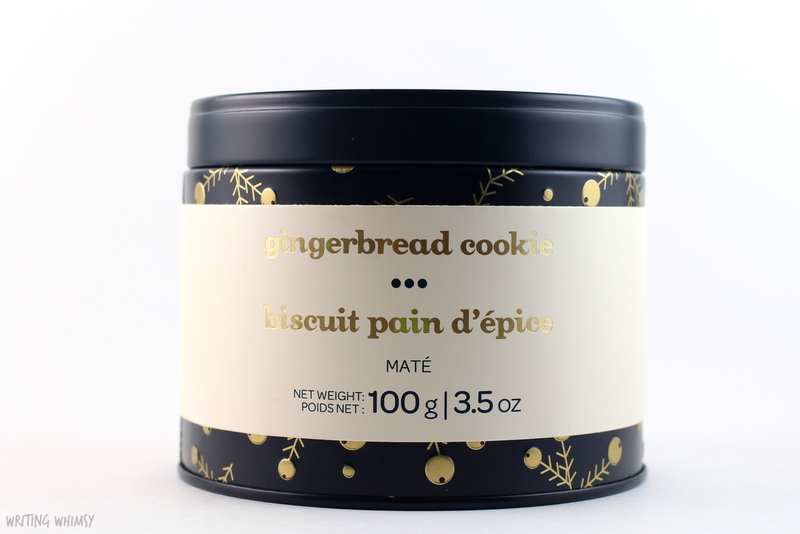 I actually find the ginger is stronger in scent than in taste, and in fact the molasses as well as the sweetness from white chocolate and maple sugar, come through to really give it that cookie flavour. The baking spices including ginger and cinnamon really make it a gingerbread cookie. It’s a really delicious, warm tea that is perfect for this cold weather although I can only drink it early in the day because of the mate. I’m sure it would also make a delicious latte. If you’re looking for a delicious holiday tea to drink yourself, or give as a gift, I definitely recommend DAVIDsTEA Gingerbread Cookie. You can buy it loose, in a skinny tin, in sachets, or in a lovely collectible tin like the one I have. DAVIDsTEA even has candles, lotion, lip butters and hand soaps if you want to coordinate the tea you drink with everything else–and when it smells and tastes this good, you probably do! Have you tried any of the DAVIDsTEA Holiday teas yet? Don’t forget about DAVIDsTEA Santa’s Secret (reviewed here) which is a returning favourite of mine, as well as DAVIDsTEA Sleigh Ride (reviewed here).